Even the waterways had plants growing in them. Here we can see some purple iris in flower. Again, many of the bushes were pruned into the interesting, cloudlike shapes. 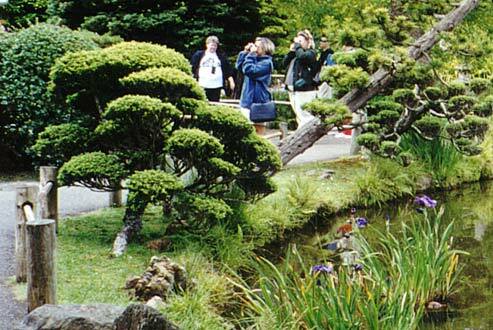 In the background, you can see some tourists, like us, happily snapping photos of the garden's many wonders.